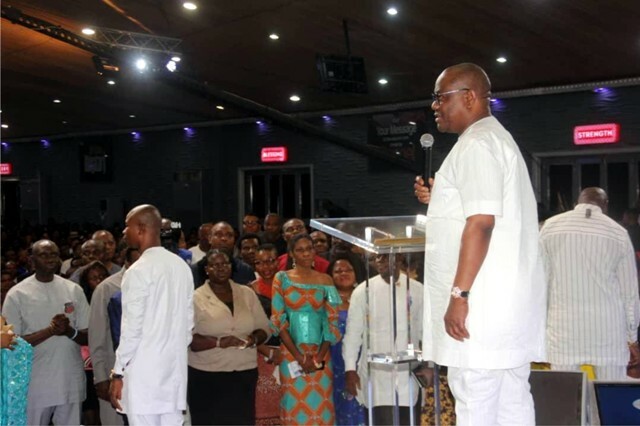 Rivers State Governor, Chief Nyesom Ezenwo Wike (2nd right), addressing the congregation, during a Special Thanksgiving Service at the headquarters of Salvation Ministry, Port Harcourt, yesterday. 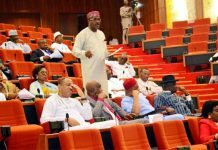 The supplementary elections for the State House of Assembly held last Saturday in four Local Governments Areas of Rivers State was peaceful, stakeholders have said. The four LGA’s where the supplementary polls were held are Gokana, Opobo/Nkoro, .Ahoada West and Abua/Odual. Our reporter who covered most of the areas said that there were low turnout of voters in some areas, while the turnout was impressive in Gokana LGA; even as no violence was recorded. 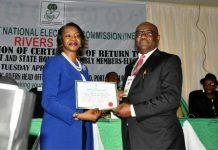 Meanwhile the Independent National Electoral Commission (INEC) is expected to announce the results of the elections today. The Tide reports that most residents defied the restriction of movement order by the police within the duration of the polls, as they went about their duties. There were heavy security presence in Opobo/Nkoro as each police unit hadno fewer than five policemen attached to them. Also, policemen were spotted in vans patrolling the communities in Opobo/Nkoro and Gokana LGA’s in a bid to ensure that there were no security breaches, as military men, especially the Army were conspicuously absent in the areas. 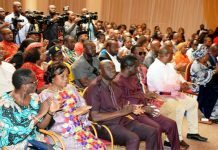 In Opobo/Nkoro, it was observed that agents of major opposition political parties did not participate in the exercise as most of them were not seen in the polling units visited by The Tide reporter. 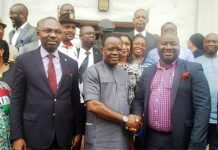 Speaking on the conduct of the elections, the Rivers State Commissioner for Education, Dr. Tamunosisi Gogo-JaJa expressed happiness that the entire process was peaceful in Opobo/Nkoro LGA. Also, his counterpart in the Ministry of Finance, Dr. Fred Kpakol said the elections was devoid of violence in Gokana unlike what was experienced during the March 9 Governorship election in the area. Kpakol, who spoke to newsmen after casting his vote in Ward 15, Unit 4 in K-Dere community (Gokana) attributed the peaceful atmosphere to the non-involvement of the military; just as most of the residents who spoke with The Tide in Gokana and Opobo/Nkoro shared the sentiments of the commissioners that the elections were peaceful and credible.